I get it. You get it. We all get it. Stress. Moreover, we get that it’s a part and parcel of life. The truth is that most of the stress we have in our lives isn’t stress that benefits us (and yes, you can be stressed and it be beneficial – for instance when it elevates us to do our best work). Today we live in a hyper-connected world where even the possibility that someone might call, or might text or might message you, creates this perpetual undercurrent of stress in our lives. 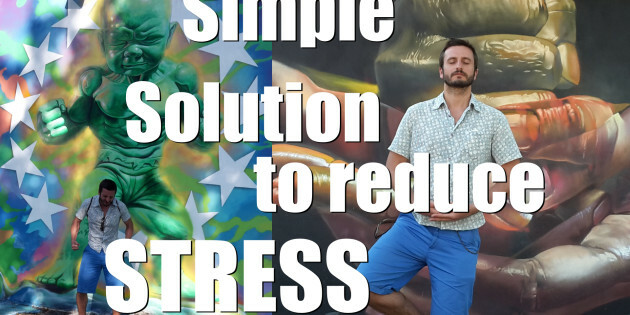 So people are always looking for ways to “de-stress”. That might be yoga, tai chi, qigong, smoking, drinking, getting lost in a movie and any number of other ways. Have you considered this though to de-stress? In Japan it’s called Shinrin-yoku (which means taking in the forest atmosphere or forest bathing). Essentially it’s walking in nature. Intuitively it’s something that we know can elevate our mood and increase our sense of well-being along with reducing our stress levels. Did you know that along with all the intuitive benefits above, getting out into nature has been shown to promote lower concentrations of cortisol (stress hormone), lower pulse rate, lower blood pressure, greater parasympathetic nerve activity (rest and digest relaxation response), and lower sympathetic (fight, flight and freeze) nerve activity than do city environments. Not only that, but getting into nature will increase your immune system and increase the activity of your bodies’ Natural Killer (NK) cells – cells which help fight tumour and promote well-being in the system. And not only that, but this can last for up to 30 days after the forest bathing activity. It means get out into nature. On your lunch break – if you can find a park go walk, sit, run in it. Take the path through the park on the way to/from work (safety allowing of course! ), get into nature at the weekends, find your city’s local nature reserve. If, like me, you work from home at lot, get out in the middle of the day for a walk round the local park. Sure, the best benefits come from total immersion, but start where you can. If you are city based, it’s going to be harder – but not impossible – to reap some of these benefits. So if you want to lower your stress levels and boost your immune cells, then take heed and go forest bathing today! What do you think? Does this work for you? Comment below and remember to share.